Hyundai will be introducing its new small hatchback by Diwali. 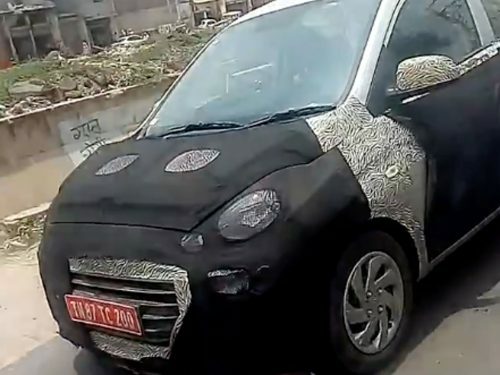 Codenamed AH2, the production model will have Santro nameplate with a suffix. Reviving the iconic moniker in Hyundai’s domestic history that spawns more than twenty years is a bold move. It also showcases the brand’s desperate need of selling higher volumes in the entry-level space to reduce the deficit to Maruti Suzuki. In the Indian passenger vehicle market, small cars contribute to the majority of share as they accustom to the needs of a large band of population. With Hyundai planning to launch as much as eight new vehicles between now and 2020, having a strong flag bearer in the affordable space is highly important. With Eon not managing to lure customers as much as Hyundai had anticipated, the rebirth of Santro carries all the future stakes. Expected to sit between the Eon and Grand i10 and thereby effectively filling the gap left by the old i10, the new generation Santro walks on the footsteps of its predecessor with a tall hatch design, which was evident from the spy shots we have seen over the last few months. The tall hatch stance is replicated in this rendering and it shows how Hyundai has been able to eke out the maximum from the given proportions and the sacrifices made to leverage more interior space for the occupants. 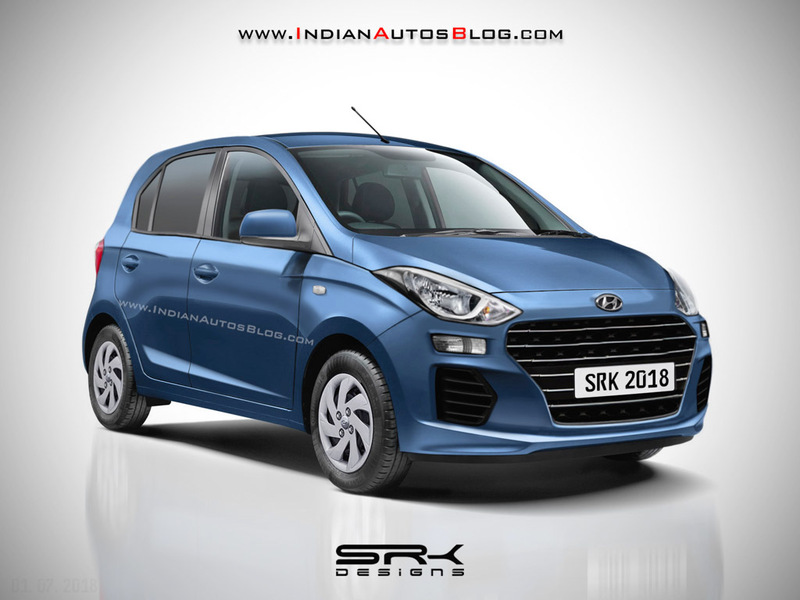 The 2018 Santro will boast the smallest cascading grille of all Hyundais sold worldwide, and has horizontal fog lamps positioned just below the sleek headlamps like in Kona. The side profile has a rather purposeful appearance with large windows enabling good outer visibility. The rear end will bear slightly vertical stacked tail lamps and small glass area on top of the boot hatch. The upcoming Santro is based on the modified version of old i10’s HA platform and is expected to be powered by the updated 1.1-litre Epsilon four-cylinder petrol engine. Transmission duties will be handled by a five-speed manual as well as a Smart Auto AMT. The new Santro will become the first Hyundai to offer automated manual transmission and it is expected to come equipped with features like touchscreen infotainment system on the top-end variants, standard dual airbags and ABS, reversing camera, smartphone connectivity, Bluetooth audio, etc.